There aren’t many genres that would get away with artwork featuring a humanoid bison descending to earth in a rowboat, but Doom manages it, and when you have a band as aggressive and Sludgy as Canadian reprobates Bison B.C. (formerly just Bison) the image of intergalactic invading bison fits surprisingly well. I hate comparing Sludge bands to Mastodon, but it is the easiest comparison here, the earlier, harsher sound rather than the later Prog, although Quiet Earth features a fair few riffs that could be from the Prog box. There’s a two-part epic (Wendigo) that meanders through all sorts of territory, including early Iron Maiden as well as Classic Rock, and that and the closing title track even have a bit of cello. It might take a few listens to realise, but Quiet Earth is not a bad album. This doesn’t mean that it takes time to appreciate its greatness; it means that on first listens you’ll likely be overwhelmed and fall in love immediately, and it’s only with patience that you’ll see the faults. The vocals are one, harsh yells and growls often at odds with the music, but oddly fitting sometimes, such as the group-growled chorus in These Are My Dress Clothes. The songs themselves are good, but not great, and whilst you won’t find anything offensive, they’re simply not memorable. Having said that, for a quick burst of downtuned glory whilst you’re waiting for the new Mastodon album, you could do a hell of a lot worse. There’s a definite Thrashiness to some of the tracks that makes it impossible not to headbang along, and the Classic Rock influence especially made it enjoyable on a personal note. Throughout the album, however, you never get to the ‘good’ song; each track feels like a poorer track from an especially fine album, rather than the highlight. No insult to the band themselves; Quiet Earth is only their second album and for a band formed barely two years ago they’re doing fine, but they’ve got better to come, and on that day the praise will flow. 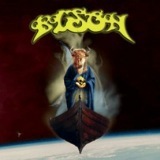 There seems to be a fair few of these ‘hipster Doom’ bands around at the moment (Bison B.C. have two beards out of four members...) and some are better than others. These guys are near the top of the pile, but not there yet.